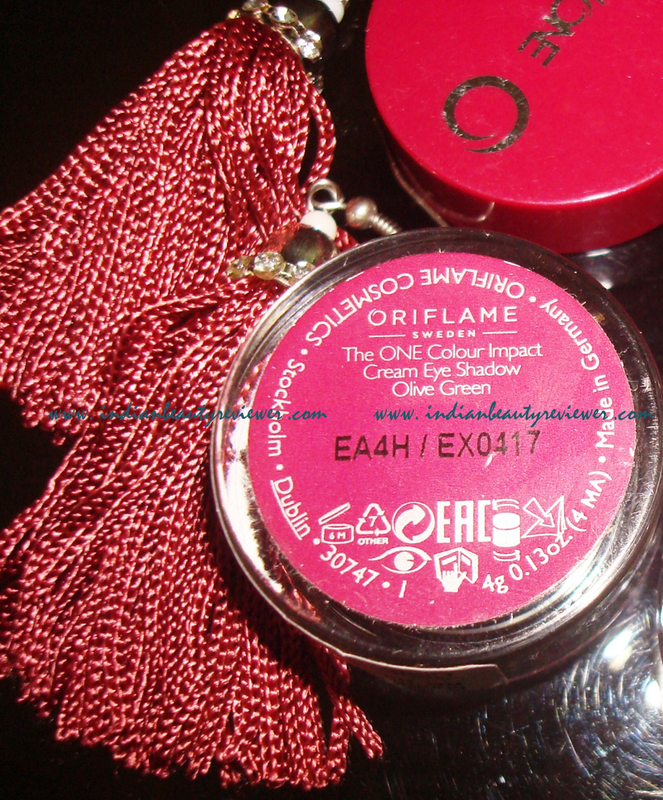 Oriflame India recently launched a range of cream eyeshadows called The ONE Colour Impact Eyeshadows. This collection has 6 shades of eyeshadows which come in individual tubs. The 6 shades are Rose Gold, Golden Brown, Shimmering Steel, Deep Indigo, Olive Green and Intense Plum. Oriflame The ONE Colour Impact Eyeshadows are packaged in individual transparent hard plastic tubs with a plummy pink colored screw on cap. The color of the eyeshadows are easily identifiable through the transparent tubs. The ONE Colour Impact Eyeshadows have a creamy consistency on the first touch but when you blend it out it turns into a powdery texture and finish. The blendability is hassle free and a very easy process. You could use a brush or even your fingers to work with these shadows. The finish is very shiny and intense. The pigmentation is very appropriate and the names justify exactly the shades in the tubs. A perfect shimmering Olive Green shade almost resemblig khaki green color or you could even compare it to a military green shade but a glam one ! 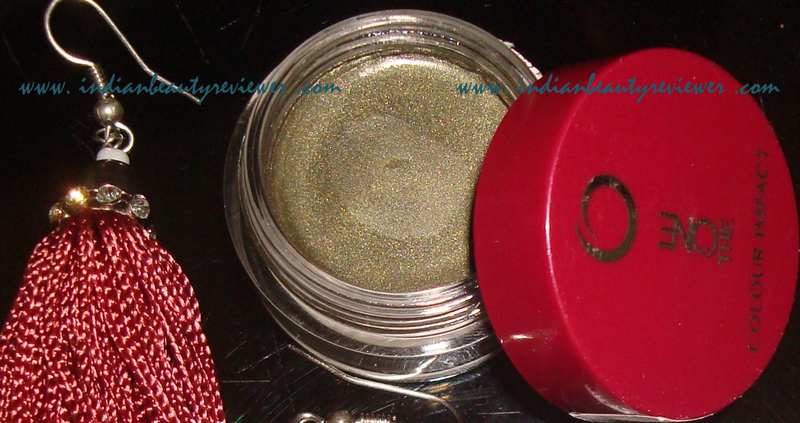 Again green goes beautifully with brown eyes and this is also a colour suited for bright yet muted eye looks. Great for wearing as an eyeliner also. The lasting power of The ONE Colour Impact Eyeshadows is quite good too. For me the colour lasted on my eyelids for 7 to 8 hours but since I have very oily lids and oily skin in general, it was a must for me to apply a base underneath just so I could get a long wear time out of these eyeshadows. 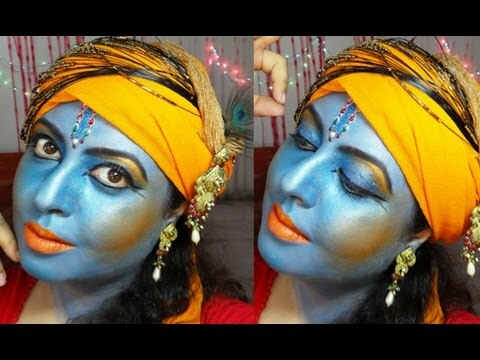 An eyeshadow base also helps to bring out the true colour of the eyeshadows and some bases also help enhance and brighten the colors. However, in the swatches above I have not used any base underneath the eyeshadow color just so you guys can have a look at the colours in their truest form. Whether you are a newbie or a pro at make up, I would highly recommend including these eyeshadows in your vanity to create all sorts of colourful or neutral looks! All views, opinions and comments expressed herein are my personal experience and Oriflame does not hold any liability, whatsoever in respect of same. Names, logos and other proprietary information quoted in this blog are property of Oriflame and are mentioned here for reference purpose only.